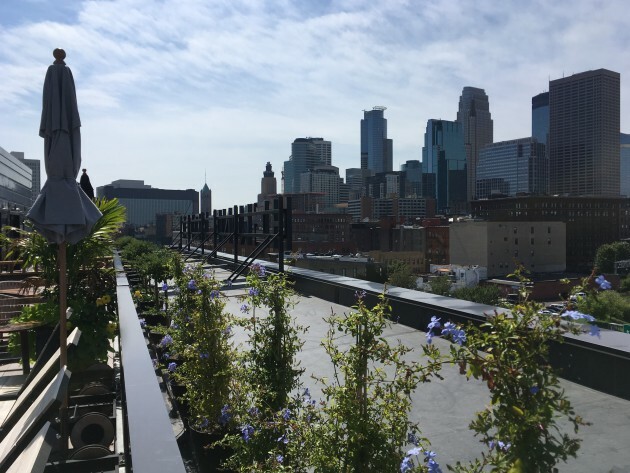 After decreeing that the rooftop amenities would be available only to hotel guests and social club members, the Hewing Hotel has decided to open up part of its show-stopping facilities to the public on a weekly basis. 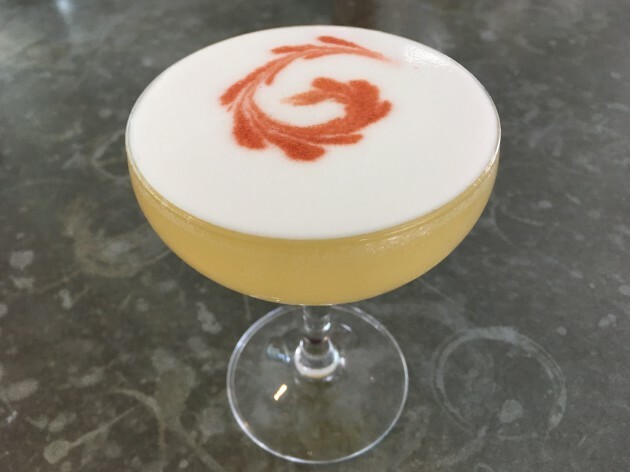 Starting next week, the Hewing is inviting the community at large to peruse the downtown views and indulge in a special Tattersall Distilling cocktail takeover at the rooftop bar and restaurant every Tuesday. What’s on tap? Well, a list of rooftop drinks made exclusively for the Hewing (meaning you won’t find them at Tattersall’s cocktail room), including frozen concoctions. These will change on a regular basis and be theme-oriented – for the first couple weeks, think “Minneapolis pool party.” Imbibers can expect cocktails like the Island Life – an aquavit bev with pineapple, lime and honey, or the Safety Break – with pommeau, vodka, vermouth and bitters. Icy tiki drinks could be poured, too, in the not-so-distant future. 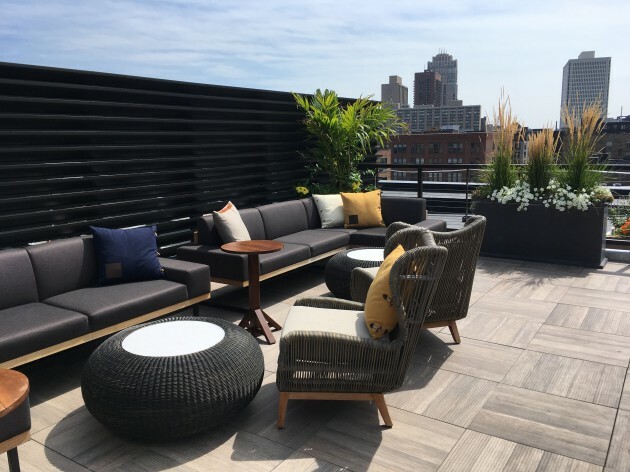 The lofty lounge and patio, which seat about 75, will be accessible by reservation only — made by e-mailing VIP@hewinghotel.com — from 4 p.m. to 12 a.m., and comes with a $25 cover charge. Various small plates, such as ceviche, bruschetta and a tomato-burrata salad, will also be available. And next up in the rooftop unveiling is lunch – which will be open to the public starting in October. First up: the Minneapolis and St. Paul farmers markets open on Saturday.